I have a tendency to be very hard on myself, hyper critical and unforgiving, particularly when it comes to failed relationships. I don’t cut myself one bit of slack and will generally take full responsibility for the demise of my attempts at together forever or a possible happily ever after. In some cases the blame and self-pity have lasted longer than the relationship itself, lots of wasted time and emotion. Yeeeshh! The shorthand version of my relationship history is unremarkable . . . married my high school sweetheart, divorced, a one night stand, a few boyfriends, then a boyfriend I married, divorced again, a couple of live-in boyfriends and then someone I really, truly wanted to be the one. He was a repeat. I didn’t learn my lesson the first time. So there you have it, thirty-seven years of lovin’ in a nutshell. Doesn’t look like much in shorthand form, but together, for better or worse, these men have shaped how I feel about love and myself. I make a lot of jokes about my relationships. I’m sure it’s my way of hiding the pain and sometimes embarrassment of my mistakes. Most of my relationships were doomed from the start, some ending quickly and others needing years to marinate to their full potential for heartache. When I am visited by ghosts of relationships past naturally I experience mixed emotions, flashes of happiness overshadowed by feelings of failure. I sometimes cringe. As I travel the road of self-improvement I hope to cringe less, eventually stop cringing all together, and then to smile, forgive myself and move forward, allowing mostly happy memories to emerge. So where do I begin? Choosing not to date seemed like a good place to start. Over the last five months I’ve had plenty of time to contemplate this choice and I wonder. . . Is it really a choice if I have absolutely no desire to date? My former self would have quickly moved on to a new relationship without a moment of self-reflection, attaching myself to the first guy to show interest. I reflect A LOT these days and consider embracing a life without a partner. Could I choose to be single forever? In my 20s, 30s and even 40s, I figured single status was temporary. There was always time, and something better would come along. But single at 54 is different. There are fewer choices, chances, opportunities, and certainly less time. I have been single many, many times, and would say given my varied experience, I am nearing mastery of singlehood. Dining alone in restaurants, going to the movies, and traveling solo . . . it’s easy and I enjoy it. But it’s not my first choice. For me, life is more fun experienced with someone I love. It just is. If I know I am happier coupled-up then why am I considering a life as a single person? Well, that is the million dollar question. I think the answer might be fear. Yep, fear. Looking for love this time around would require trusting the Universe, believing there is someone out there who will appreciate me “as-is”, kind, warm, thoughtful, funny, smart, and reasonably attractive. More importantly, I have to believe that I am worth loving. I have moments of being a true believer, but unfortunately more moments of feeling like damaged goods. It’s brutal out there and I’ve been rejected by the best of them, and even the worst of them. I hate admitting that my ego and self-image have suffered. It turns out I’m not quite as strong as I think I am, especially when it comes to matters of the heart. For now, I’m not ready to take a chance. So, I will stick to my plan of no dating. I treat myself to nice experiences, spend my time with people who lift my spirits, and I continue to write and write and write. All of these things improve my psyche and help alone moments feel less lonely. Maybe the reason I contemplate a life alone is because there is a strong possibility that will be my life. Maybe I’ve used up all my chances at love. Maybe I’ll discover that my connections to many are much more important and more fulfilling than a connection to just one. Where I am right now is not a bad place to be . . . loved by family and friends, happy and healthy. It’s a good life for sure. Still, to share this life with someone who gets me and wants a life with me despite the baggage. . . that would be the icing on the cake. But first, I have to believe . . . and then I have to be willing to take a chance. Brutally honest. You didn’t spare yourself. Maybe being comfortable by yourself is a good place to start, then see what happens when you aren’t looking to complete yourself with another person. We’re all trying to fit the imperfect pieces of the puzzle together. My husband and I have been “together forever” and we still hit bumps, but we don’t expect to change each other any more. We both just work on ourselves. I’m learning that that is all any of us can do , work on ourselves. And there is no end to that job. I do believe the rewards are huge. Happy New Year!! As the others said, very honest. As the book the secret says, “ask, believe, receive”. The universe alqays gives you exactly what you need. Beautiful simple words yet difficult to execute. Working on it every day. Thx! Here is a resource you may not know of and yes, I have read it. I read a lot of things that don’t directly apply to my life as a man but which I find interesting nonetheless. If I lost my wife, I don’t know that I would marry again either, but I would not live a constantly solitary life. Being alone is not a problem for me, but I would not choose to live a hermit-like existence. Not saying that is what you are choosing, just stating my preference…at this time, anyway. Of course the bulk of the book is not about “getting naked”, as the catchy title would have you believe, but it does address that fear for women who find themselves single after being in an extended relationship. I give the book a very strong endorsement. I may not be a woman, but I have researched a lot in the last few years so I could author my blog with some authority and this was one of the more easy, relevant reads. I’ll be back to read more. It’s time to hit the sack here. You do write well. Single at 54 must be pretty daunting at times. I have enough children that I will likely be cared for somehow in my old age, but no one will care for you like your life-long partner. All the kids will have their mates and kids to devote time to. My wife or I will just be a necessary obligation, no matter how much we are loved. I didn’t mean they would begrudge either of us. I just remember all we had going on in our 40’s and 50’s and having us in the mix will take some adjustment on their parts. If we are in our mid 70’s or beyond, we will be a bit of a challenge for them. It’s just the way of life. My mother is 83 and I find her a challenge at times. :), but we have told her she is welcome here when the time comes. I’m beginning to get an idea or two. 🙂 Actually, mentally I feel about 35, It’s the hardware, not the software that’s the problem. Writing helps keep me alert and reading open to new ideas. I would have never thought the blog would come to mean so much to me in so many ways. I just thought I wanted to help people and it would be a good way. 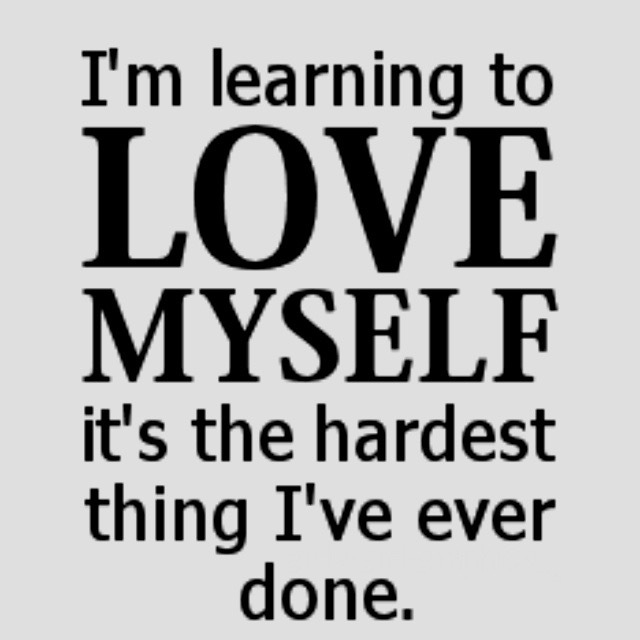 I always knew it would also be therapy for me and I would learn and admit more about myself. I just never expected how much. I loved listening to old people when I was younger. I am still younger and they’re still older, but advanced age has those now 30 year-older folk talking differently. They are more stubborn and crankier and less fun to listen to. It’s a shame that painful health, financial hardship and loss of family and friends and history shared with them over time does that to them. They go from being “grandparents” to unhappy old people. I feel for them. I am so thankful for the internet with its constantly renewing supply of new voices, especially since they cannot see you to pigeon-hole you as someone too old, too male, too white, too fat….too too talk to. I can’t imagine sitting around playing cards and waiting for the next meal as the highlights of my day. I want more interaction than that…as you may have notice. 🙂 You’re still young. There’s time to build another relationship if that’s what you decide. Only a typewriter touch typist would know your right hand got 1 key left off the home keys on “up” and it came out “yo”. But, what is a typewriter? My dad make me take typing in high school because he had to type reports every weekend for his job and was a hunt and pecker. Who would have imagined at the time how crucial that decision would become 40 years later. G’night again. Speaking of young at heart, “Young at Heart is my absolute No.1 favorite song as done my Sinatra for voice and style, but then my Jimmy Durante for his raw soul. I do think it’s very hard to find someone at 54 – but only because you have reached the point that you can be alone no matter how painful.. and you have ‘chosen’ to never settle or go through that past pain over again, and that’s a good thing right. Well first off, I don’t believe a word of it … and I never will. Women who believe that all men are the same are the ones willing to settle… but I do believe in this day and age there are, multitudes of men like that..
.. and that’s the real truth, I would rather be alone than in an unsatisfying, relationship with a man that didn’t have the same strength of character or moral compass as me. And damn, that’s a good thing! in the end whether you have one long or ten shorter – it’s the same. You still tried and it still didn’t work.. I once wrote out all the qualities I wanted in a partner and I then wrote out all the qualities that kind of partner would want in a woman. … and I wasn’t that woman. I realized I needed to change, if I wanted to attract a better guy. I needed to become a stronger woman to attract a better man… and that is what I have worked on – changing me. … Being alone is hard, but being alone thinking you’ll always be alone is harder. Ultimately if you can be alone and still be happy, and you would choose that anyday over an average relationship – then that is huge – you have chosen to love yourself and you have chosen to grow.. So well said and really summarizes how I feel. Sometimes hard work and good choices can be exhausting. Right? Thanks for the encouragement. 🙂 maybe I should reblog your comment :-). Really exhausting.. because often in order to grow you have to face some of your biggest fears. According to statistics 95% of people never heal, face their own fears or get out of the cycle of unhealthy or unfulfilling relationships.. because of this they never overcome addictions or physical illness, instead they want doctors etc.. to put a sticking plaster over it. In doing so never taking responsibility for their own emotional, physical and spiritual health. It may be easier – but not a happy existence.. Fear, anxiety, sadness, grief, pining, depression and feeling very alone, I think is normal..
You are courageous, writing with such honesty. Beautiful.